Our Home Selling System was developed to provide our clients with a consistent and proven method to prepare their homes for sale, price their homes appropriately, and get the word out to as many prospective buyers as possible. 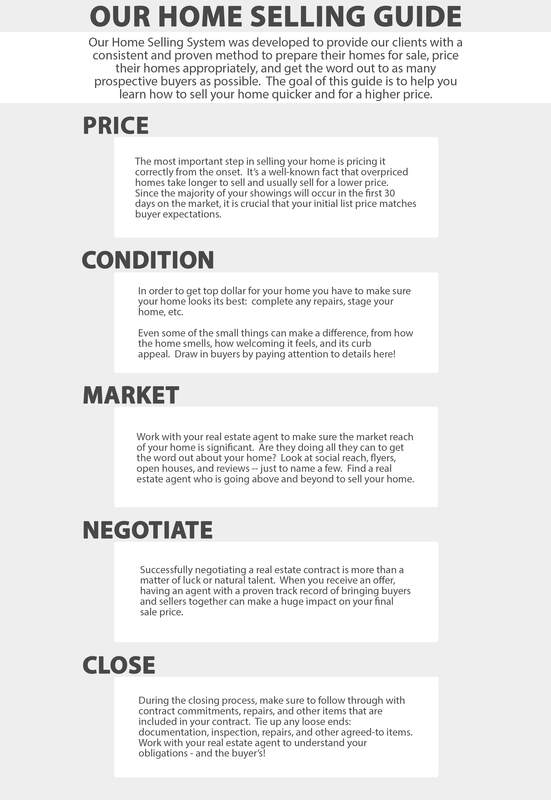 The goal of this guide is to help you learn how to sell your home quicker and for a higher price. The most important step in selling your home is pricing it correctly from the onset. It’s a well-known fact that overpriced homes take longer to sell and usually sell for a lower price. Since the majority of your showings will occur in the first 30 days on the market, it is crucial that your initial list price matches buyer expectations. In order to get top dollar for your home you have to make sure your home looks its best: complete any repairs, stage your home, etc. Even some of the small things can make a difference, from how the home smells, how welcoming it feels, and its curb appeal. Draw in buyers by paying attention to details here! Work with your real estate agent to make sure the market reach of your home is significant. Are they doing all they can to get the word out about your home? Look at social reach, flyers, open houses, and reviews — just to name a few. Find a real estate agent who is going above and beyond to sell your home. Successfully negotiating a real estate contract is more than a matter of luck or natural talent. 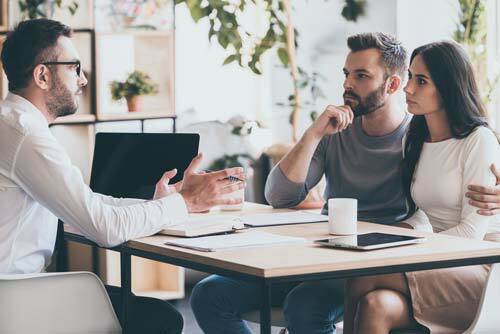 When you receive an offer, having an agent with a proven track record of bringing buyers and sellers together can make a huge impact on your final sales price. During the closing process, make sure to follow through with contract commitments, repairs, and other items that are included in your contract. Tie up any loose ends: documentation, inspection, repairs, and other agreed-to items. Work with your real estate agent to understand your obligations – and the buyer’s!